Do you need a lively, fun person who can make sense of tech and social media, dive deep into topics with expert audiences, use plenty of examples for your specific industry, AND keep everyone laughing and interested in the process? If so, you’ve found the right speaker to hire; I’d love to present at your next event. In addition to my social media educational work at Tourism Currents, I speak and hold workshops, training sessions and webinars about the social web to a variety of audiences including journalists, tourism and economic development experts, public relations and marketing professionals, and Chambers of Commerce. There is a reason that I’m often scheduled as the luncheon or post-lunch speaker….I keep audiences awake and engaged! When presenting, I prefer to go live to the web from my laptop to demonstrate tech and social media concepts, but I can also whip up the traditional slide deck and even (gasp!) speak quite comfortably without any audio/visual assistance at all. Let’s work together to plan the best possible presentation for your audience. Get More Out of Your 24 Hours: Create More Content in Less Time – Better content marketing with less time and effort, and how to get more posts out of your online content using video and photos. Promoting Your Special Events and Festivals on the Social Web – We’ll explore some innovative ways to promote special events online using tools like Twitter hashtags, Facebook, video, and mobile-friendly technology. Anatomy of a Successful CVB or DMO Blogging Program – “Soup to nuts” on blogging, from creating great posts to getting people to find and read them. It’s Wednesday, So What Are You Posting on Facebook? Building a Social Media Content Calendar for Next Week – This is a 75-90 minute hands-on workshop that steps you through a planning process for online content. Attendees walk out with a draft plan for the next week. Social Media for B2B & Sales – Yes, social networking can absolutely result in sales leads. You need a strong LinkedIn presence, of course, but that is just a start. Meeting & event planners and tour operators are on social; are you? Successful Social Photography – The power of images not only on your blog or Facebook, but also with Instagram and Pinterest, all driven by the ease of publishing from a mobile device. What Do They Find When They Google You? Online Reputation Management – How listening and responding (in a timely manner) to the social media discussions that matter can help your online reputation and image. Includes examples of great monitoring/responses. Hosting Wired Press Trips/Fam Tours — Bloggers are a new kind of online publisher, and they can connect you with new audiences. A fam tour is still a great way to share your destination with them, but wired writers have some unusual needs and perspectives. Learning their digital ways can result in tons of instant coverage for your destination. Finding Your Social Media Champions — Oh, if only there were some people out there online (like bloggers or influencers) to help us spread the word…. Well, they are out there (they may be locals living right under your nose in your town) and they want to help. Find them, approach them in the right way and give them the tools they need. I’ll show you how. Outreach Beyond Travel Bloggers — Food bloggers, crafters and quilters, history bloggers, pet bloggers; the web is powerful for connecting people with niche interests and they might love your town! Where to find them and how to interest them in your destination. Keynote, Heartland Byways conference (plus a workshop) in Manhattan, Kansas. Keynote, MITBCA (Malaysia International Tourism Bloggers Conference and Awards) in Kuala Lumpur, Malaysia. Keynote, Lehigh Valley Regional Tourism Annual Meeting (plus a workshop) in Allentown, PA.
Keynote and breakouts at three Oklahoma Travel Industry Association conferences, in Tulsa, OK, and Oklahoma City, OK, plus LT Governor’s Travel & Tourism Summits in Sulphur, OK and El Reno, OK. Led the two-day tourism track at the GCC (Gulf Cooperation Council) Government Social Media Summit, Dubai, United Arab Emirates. Keynote and breakouts, destination marketing summit for Visit Lake Placid and the Adirondacks in northern New York. Panelist at DMAI (Destination Marketing Association International – now Destinations International) annual conference, on blogger outreach, in Las Vegas, NV. Featured speaker for National Travel and Tourism Week for Visit Prince William County & Manassas CVB in Woodbridge, VA. Featured speaker at ICTT India (International Conference on Travel Technology) in Kovalam, Kerala, India. Worked with the Tourism Currents team and the Webster City, Iowa Area Chamber of Commerce – workshop and webinar series to make the whole town and surrounding Hamilton County more social- and tourism-savvy. Months-long project with the Tourism Currents team and Sarah T. Page Consulting on social media marketing training for the Texas Historical Commission’s 20 Texas state historic sites. Year-long Tourism Currents social media education program for Wisconsin Main Street and their partners – online course, webinars, email mini-course. Keynote and breakout session at Visit Pittsburgh’s Be Digital Pittsburgh Summit, Pittsburgh, PA.
Keynote and breakouts, Midwest Byway Conference, Richmond, IN. Breakfast keynote and a breakout session for the National Travel & Tourism Week tourism partner summit in Kenosha, WI. Breakout speaker at the Iowa Tourism Conference, Sioux City, IA. Faculty instructor (five times) at Travel and Tourism College with TTIA (Texas Travel Industry Association) in Bastrop, TX. Breakouts on finding online social media champions and influencers, Missouri Governor’s Conference on Tourism, Lake of the Ozarks, MO. Breakout on social photography, Pure Michigan state tourism conference, Grand Rapids, MI. Two panels at day-long Houston, Texas Tourism Summit. Speaker for MarketingProfs virtual event, on what all marketers can learn from the travel and tourism industry. Breakout session, along with my Tourism Currents business partner Leslie McLellan, at the Signature Travel Network annual sales conference, Las Vegas, NV. Breakout sessions with Leslie McLellan at the national Main Street Now conferences in both Kansas City, MO, and Seattle, WA. Breakout session about online presence along with Diann Bayes, Director of Discover San Angelo, at the Texas Historical Commission’s Real Places heritage tourism conference, Austin, TX. Breakout session about DMO blogging for the Kentucky Travel Industry Association annual conference, Owensboro, KY.
Breakouts at the Texas Downtown Association annual conference, Granbury, TX. Two breakouts at the Heartland Byways conference for scenic byways and heritage highways, in Council Bluffs, IA. Full day of custom training for Visit Joplin partners, Joplin, MO. Full day of custom training for Wisconsin Main Street partners, Kenosha, WI. Breakout at the Building Community conference for Midwest DMOs and travel bloggers in Clear Lake, IA. Breakout on “Social Media for B2B: LinkedIn and More” plus roundtable sessions “The Company Page: Key Steps to Improve Your LinkedIn Storefront” and “Most Valuable Way to Spend an Hour? Twitter Chats!” at the Simpleview Summit, Tucson, AZ. All-day social media for tourism custom training, Huntsville-Madison County CVB and the U.S. Space and Rocket Center in Huntsville, AL. All-day custom social media training for staff and partners, Lake Charles/Southwest Louisiana CVB. Two workshops for the city of Uvalde, TX Main Street staff and partners. Half-day workshop for Discover San Angelo, TX and their partners. Half-day workshop for the city of Kemah, TX and their tourism partners. Four panels (influencer marketing, Snapchat, the “bleisure” traveler, and getting destination marketing support from your locals) at the annual Tempest Tourism Academy in Philadelphia, PA, Long Beach, CA, and Louisville, KY.
Breakouts, Nebraska state tourism conference, North Platte, NE and the Wyoming state tourism conference in Cheyenne, WY. Breakout speaker on social photography, Hawaii Social Media Summit, Honolulu, HI. All-day social media for tourism custom training, City of Granbury, TX. Custom social media training workshop for Visit Philadelphia, the Oklahoma City CVB, the Tyler, TX CVB, the Galveston TX CVB, and Visit Kansas City, MO, plus partners. Travel Blog Exchange (TBEX) travel blogging conferences in New York, Keystone, CO, Toronto, Cancun, and Bloomington, MN. The 2010, 2011, 2013, and 2014 Symposium on Social Media in Tourism – SoMeT – in Loudoun County, VA, Tunica, MS, Huntsville, AL, and Nashville, TN. Texas Travel Industry Association (TTIA) annual Texas Travel Summit in Galveston, TX, and Corpus Christi, TX plus a custom webinar for them on content marketing and a LinkedIn presentation at one of their regional workshops. Two breakout sessions for destinations, tour operators, and tour suppliers, Educational Travel Community conference, Boston, MA. BlogWorld and New Media Expo 2010, Las Vegas NV and 2011, Los Angeles CA. My Tourism Currents business partner Becky McCray and I organized and ran BlogWorld’s first Tourism track. South by Southwest Interactive (SXSWi) tech conference in Austin, TX. E-Tourism Summit 2011, 2013, and 2016 in San Francisco, CA. The SOBCon business and social media conference/think tank with Becky in Chicago, IL. Texas Association of CVBs (Convention and Visitors Bureaus) annual conferences in Lubbock, Killeen, The Woodlands, El Paso, and Sugar Land, TX. Texas Coastal Bend Regional Tourism Council in Port Aransas, TX. Keynote, Society of Government Meeting Professionals (SGMP) Lone Star Chapter in San Antonio, TX. Texas Conference for Women, Social Media Roundtable, Austin, TX. Red Carpet Country annual tourism conference (with Becky McCray) in Alva, OK.
Texas Festivals and Events Association (TFEA) annual conference in Houston, TX. Texas Leadership Institute tourism seminar and Governor’s Small Business Forum in Bastrop, TX. International Bridge, Tunnel and Turnpike Association (IBTTA) training conference in Austin, TX. BlogHer blogging conference, Chicago, IL. TRAPS (Texas Recreation and Park Society) in Garland, TX. Austin Women in Tech in Austin, TX. PeopleFund (economic development) in Austin, TX. InnoTech tech conference in Austin, TX. Chambers of Commerce for Rockdale, Jewett, and Brownwood, TX. Metropolitan Breakfast Club in Austin, TX. Mass Communications Conference, Texas State University, San Marcos, TX. Webinars for the Association for Women in Communications (AWC) National Headquarters, Destination Marketing Association International’s empowerMINT, Girlfriend’s Guide to the Business of Blogging and the UpTake travel site’s blogger network. The most popular one so far was No, You May NOT Pick My Brain. Local panels for AWC Austin, Refresh Austin, Social Media Breakfast, the Writer’s League of Texas, RISE Austin, the Young Women’s Roundtable, Freelance Austin, Kingsland (TX) Genealogy Society and the University of Texas Undergraduate Writing Center. (ongoing) Educational webinar work with the National Scenic Byway Foundation; Tourism Currents is the Foundation’s preferred training partner. Oklahoma Travel Industry Association annual conference in Oklahoma City, Oklahoma. Keynote for Explore Bastrop County National Travel & Tourism Week, in Bastrop, Texas. Two breakout sessions at Tempest Tourism Academy in Pittsburgh, Pennsylvania. Custom Tourism Currents staff/partner workshop for the Maryland Milestones heritage tourism and historic sites organization in Hyattsville, Maryland. Returning faculty at TTIA (Texas Travel Industry Association) Travel & Tourism College at Hyatt Lost Pines, Bastrop, Texas. 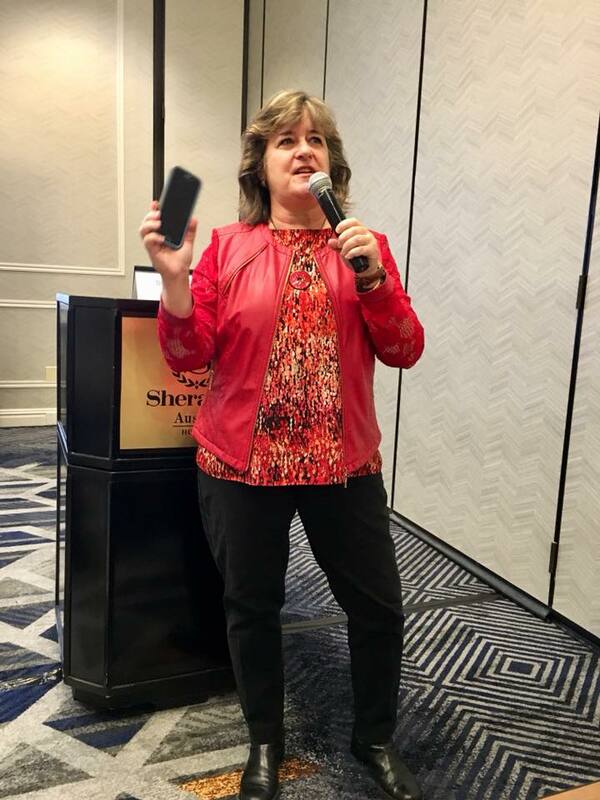 “In person, Sheila’s dynamism and sense of humor combine with her subject matter knowledge to make for a compelling speaker with a level of energy seen only amongst the best speakers and presenters. Presented at the 2015 Missouri Governor’s Conference on Tourism in Lake of the Ozarks, MO. There’s a lot of secrecy about speaker rates, and it drives me crazy. You should be able to figure out right away whether I fit your event budget or not. My current rate for a 1 – 1.5 hour keynote is US$3500 plus expenses. NOTE: I often include a smaller one hour conference breakout presentation in that fee, at no extra charge. If I am going to spend time at your event, I might as well stay on my feet and keep talking! For a small workshop (1 – 1.5 hours) and nothing else, I charge US$800-$1000 plus expenses. For a half-day workshop (all morning or all afternoon) I charge US$1500-$3000 plus expenses. For a full-day workshop (roughly 9-5) I charge US$3000-$5000/day plus expenses. When my schedule permits, I like to hang around at conferences, perhaps attend a few other panels and be available in the hallways and at evening socials to answer questions that many are uncomfortable asking during my sessions. If I request accommodations or a conference badge to do so, I’m not trying to “milk the system, ” I’m trying to add maximum value to your event. I’m willing to negotiate on pricing if you are a nonprofit, educational or governmental organization, or are in my local Austin, Texas metro area.